Students can exit the programme after 3 years with a BA. Students are awarded a BA(Hons) after successful completion of a fourth year. Several options exist for further study, including a number of options at Masters level. Creative Music Production is a programme designed for the contemporary music industry. This programme has been evolving to meet the needs of the industry and from September 2019 a new pathway in Creative Music Practice is being introduced. Creative Music Production focuses on the integration of core sound engineering and audio creation skills. Students explore the cutting edge of the field through practical projects in professional facilities. Creative Music Practice allows instrumental performers to develop their musicianship, while also focusing on the creation of music and audio. Note: the Creative Music Production pathway constitutes the existing DL704/DL838 Programme. The Creative Music Practice pathway is an additional option available to new entrants from September 2019 onwards. A number of modules are shared across both pathways. Collaboration across pathways and with other programmes in IADT (with a focus on Film and Animation) create a vibrant learning environment. The Music Production pathway is designed for those who wish to gain an in-depth knowledge of the recording studio and music production software. It also covers specialist topics in the field such as audio electronics, audio programming and production for games. Cultural context is offered by more research-based modules. In later years of the programme, students choose to focus on their own area of interest through mentor-led projects. The Music Practice pathway is designed for those who wish to develop their performance skills, while also learning about the production and creation of music and audio. The pathway aims to enable performers to use technology creatively (as opposed to constituting a pure music performance degree). As well as shared modules from the Production pathway, students take a Performance strand of modules, designed to develop primary musical instrument skills. A Genre and Ensemble strand of modules deals with collaboration across instruments and creative solutions. The Programme offers a sustained creative pathway enabling and enhancing the production and practice of music and audio. An ethos of creativity linked with technical prowess is core to all modules. The programme focuses on industry standard tools and processes, and the client/artist relationship. Diverse, student-driven major works in later years provide a platform to the working world. 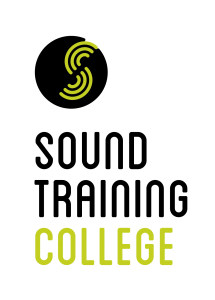 Creative Music Production is delivered collaboratively by IADT and the Sound Training College. This unique Programme utilises some of Ireland’s leading commercial recording studios and performance spaces as teaching facilities. Lecturers include some of the finest music industry practitioners in the contemporary music scene. This shared delivery offers globally unique benefits; appropriate modules will be taught in commercial studio and music production/practice facilities at STC. Learn how to creatively use industry-standard equipment and software. Learn from some of the finest music industry practitioners in the contemporary music scene in Ireland. Benefit from a mixture of lectures and practical work of the highest commercial standard. Get unrivalled industry experience, access and contacts. Opportunities exist for graduates to undertake a huge variety of careers in the growing music and new media industries, with new opportunities constantly arising. Previous STC graduates are profiled here and continue to lead the worldwide music and new media industries. Common Modules: Sound Engineering; Electronic/Software Production; Broadcast/Live Sound; Music Theory; Acoustics/Psychoacoustics; Audio Technology. Common Modules: Client-based Production; Creative Music Theory; Musicology and Contextual Studies. Music Production Modules: Creative Sound Engineering; Audio Electronics; Creative Audio Programming. Music Practice Modules: Creative Performance; Genre and Ensemble; Artist Development. Common Modules: Major Project, exploring creative and technical skills; Musicology, Film and Theatre Studies; Music Industry Studies; Interactive Performance Systems. Music Production Modules: Audio Production for Games. Music Practice Modules: Creative Genre and Ensemble. Common Modules: Professional Project, showcasing specialisation; Advanced Music Composition; Creative Entrepreneurship. Music Production Modules: Advanced Studio Engineering and Production. Music Practice Modules: Advanced Performance. Apply to Creative Music Production, DL838 via CAO before 1st February 2019. Submit a portfolio for the Production pathway (two short pieces of music, ideally showing contrast, with a written piece describing your role OR a short reflective essay discussing a concert/genre/artist demonstrating your interest in the course). Audition for the Practice pathway (a short, 3 min audition demonstrating core instrument skills and showcasing your creative musicianship). Applicants will be asked to specify their instrument. The programme currently accommodates Strings (guitar, bass, bowed strings), Percussion, Vocal, Keyboards and Electronic Instruments/Performance Solutions. Students completing the STC Higer Certificate (or equivalent) are eligible to apply for advanced entry into second year. Details on advanced entry can be found here . The course is eligible for 'free fees' and third level grants, see the IADT prospectus and studentfinance.ie for details. There is a €200 yearly class materials fee.